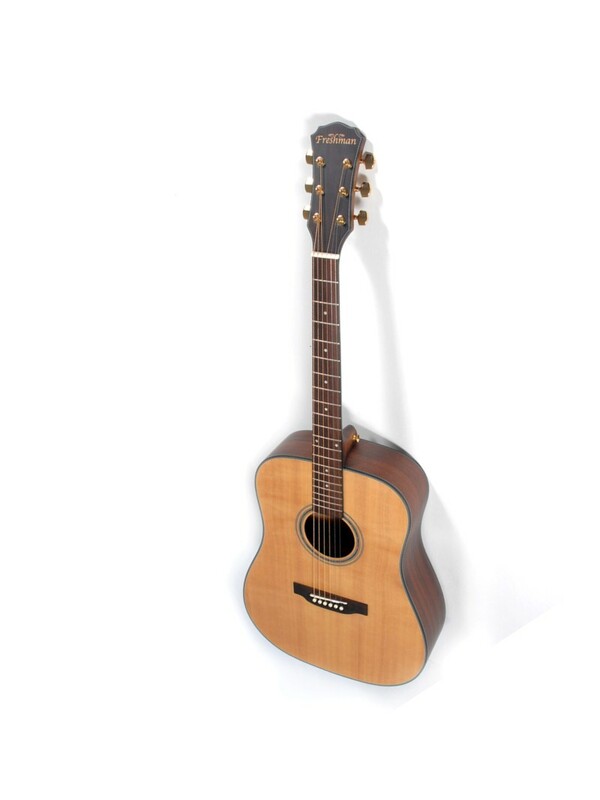 This beautiful dreadnought acoustic guitar has a solid sitka spruce top. The back and sides of the guitar are mahogany, with a lovely rosewood fingerboard. The guitar has gold machine heads, with a natural satin finish. This guitar is an ideal buy, at such an affordable price it accomodates a smaller budget, yet doesn't sacrifice any of the quality that Freshman is renowned for. A solid guitar that would be ideal for any age or range of player.